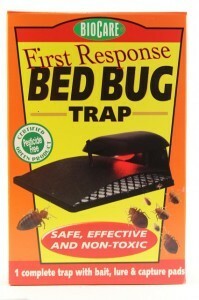 PRODUCT DESCRIPTION: This is a permanent trap designed to provide long term monitoring for bed bugs. Its goal is to monitor treated rooms so you can confirm your bedbug treatment program is working They can also be installed to alert you to a new infestation. These traps work by using a combination of heat, carbon dioxide and an advanced pheromone lure to attract foraging bed bugs. The bed bugs will readily find traps placed on the ground, on top of beds or around suspected nest sites. As they walk onto the surface grid, they'll fall under the cover and get stuck on the protected sticky glue pad. Replace sticky pads and pheromones every 3 months. Light bulbs should last 9-12 months. Carbon dioxide bottles need to be replaced monthly. Remember, this is a permanent trap designed to provide long term monitoring for bed bugs and not a control method. Yes it will catch bedbugs but only with a dedicated bedbug treatment program as explained in our BEDBUG CONTROL ARTICLE can the problem be erradicated. 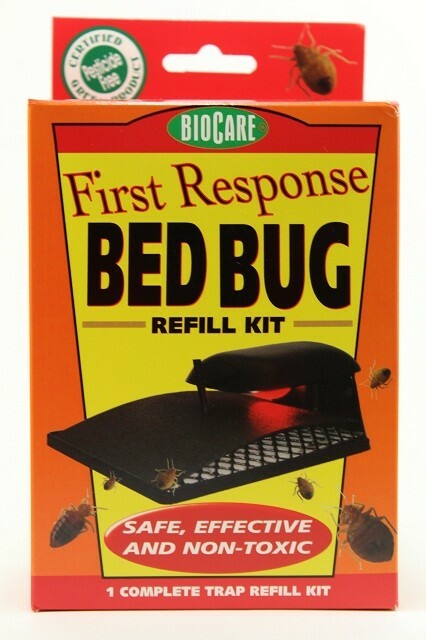 WHERE TO USE IT: Under beds, couches and other areas where bed bug activity has been noticed or detected. RATE OF APPLICATION: Each trap will cover up to 150 sq/ft.